The Wild West was an exciting era, full of cowboys and Indians and outlaws. These extremely rare images that have been discovered, truly extraordinarily bring to life, what we only know to be true from the classic movies. This image shows 19th century businessmen riding to Death Valley in search of the mineral borax. Death Valley in California is one of the most unlivable places on Earth. It’s 282 feet below sea level and has recorded the highest air temperature on the entire planet (134 degrees Fahrenheit). 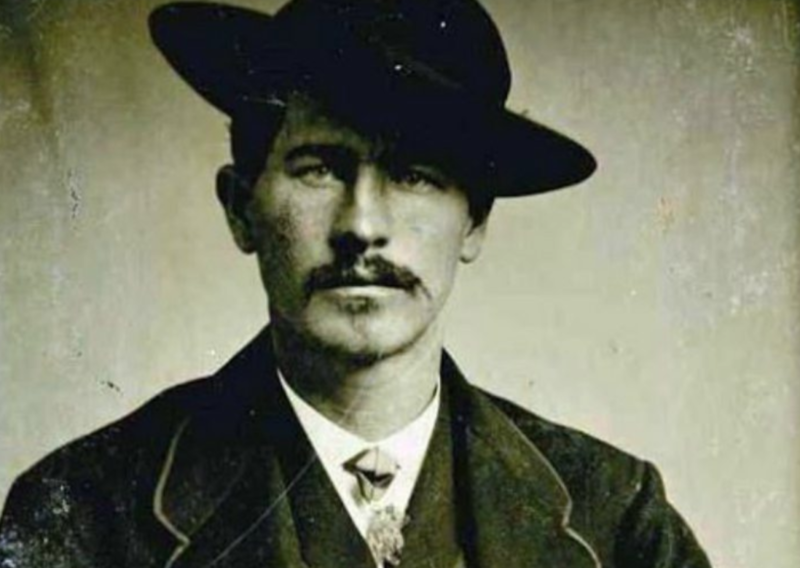 John Wilson Vermillion, or “Texas Jack” is one of the legendary gunfighters of the Old West who was known for working with the Earps in their vendetta rides searching for outlawed cowboys. He was also known by the name “Shoot-Your-Eye-Out Vermillion” because he once shot a man in the eye, so the name stuck. 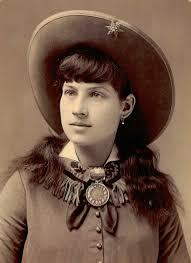 Annie Oakley is for sure one of the most well-known names of the Wild Wild West. Born Phoebe Ann Mosey, Oakley rose to fame at the early age of 15 due to her outstanding sharpshooting skills. She began trapping, shooting and hunting by just eight years old, to support her poor family after her father got killed. 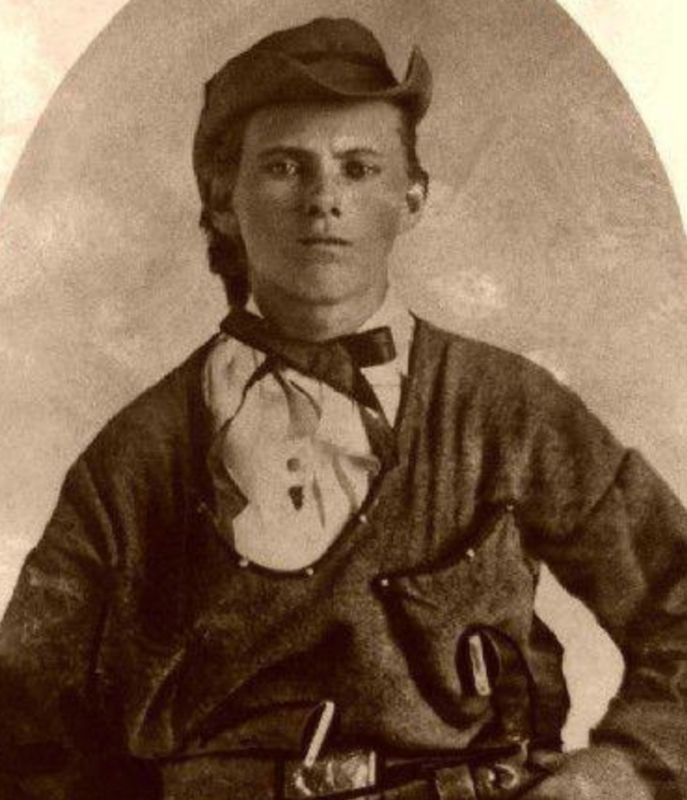 Jesse James is a notorious American outlaw. He was also a guerrilla fighter, a gang leader, bank and train robber and, of course like any proper cowboy, a murderer. James was born in Missouri and, together with his brother, the two formed the James-Younger Gang. That’s a duo right there! This old west saloon in Michigan looks just like one of today’s many bars. The general layout of saloons and bars has not changed dramatically in the 150 years since this amazing photograph. There’s a counter with a bartender who sells alcohol. Olive Oatman lost her parents to a tribe of Native Indians when she was just 14 years old. She and her younger sister were then kept as slaves and a year later traded to a Mohave tribe. Both sisters were tattooed on the chin and her younger sister died of malnourishment. 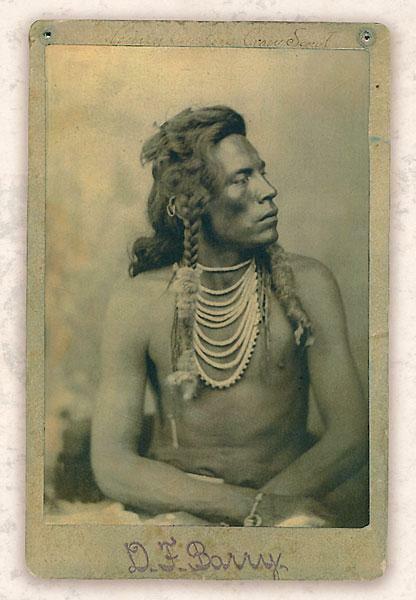 Two Indian natives, named in their tribes as Elk and Black Elk, were part of Buffalo Bill’s Wild West show. They traveled all around the world with the show and were famous for dancing while wearing shells and bells. This is a fascinating picture. Native Americans had a particular name for any Black American who served in the U.S. Army: Buffalo Soldier. If Bob Marley’s hit song rings any bells, that is why. In 2005, the final living Buffalo Soldier passed away. He was 111 years old. Geronimo was the leader of the Apaches and brought together a number of Native tribes against their American and Mexican enemies. He was a strong role model for the tribes and he protected them against harm as much as he could against those who called them savages. These women joined their husbands and families in the search for gold, or they would arrive on their own in search of wealth and wealthy men. Besides gold digging, other popular occupations for women were housekeeping, cooking, washing clothes, acting, and dancing. 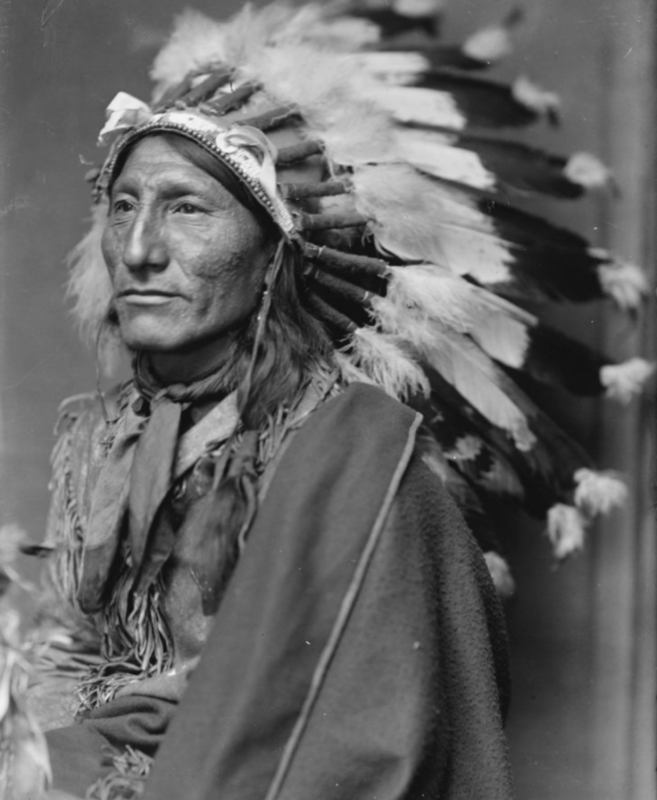 Curly was just 17-years old when he witnessed the fall of Custer at the Little Bighorn. As a scout for Custer, he was in proximity to the fighting but did not join in. Although he was one of the first to report what happened, he spoke no English, only being able to communicate in sign language. When word quickly spread that Curly was the “only survivor” of the battle, he became famous, and this photograph was in high demand. He lived until 1923. Wild Bill Hickock was famous for being the fastest gun in the west. Legend tells the tale that he killed over 100 people. This number gave him the reputation of being a killer. Apparently it was him who was responsible for exaggerating his kill count when truth be told he had only killed about 10 men. In the late 1800s, there was a lot of money to be made from mining gold, silver or copper. Owning the mine gave you the biggest profits, but the miners themselves also made out big. Remember the Disney movie Pocahontas? They came to America to mine gold. Guns were an integral part of survival in the wild west and everyone had one. 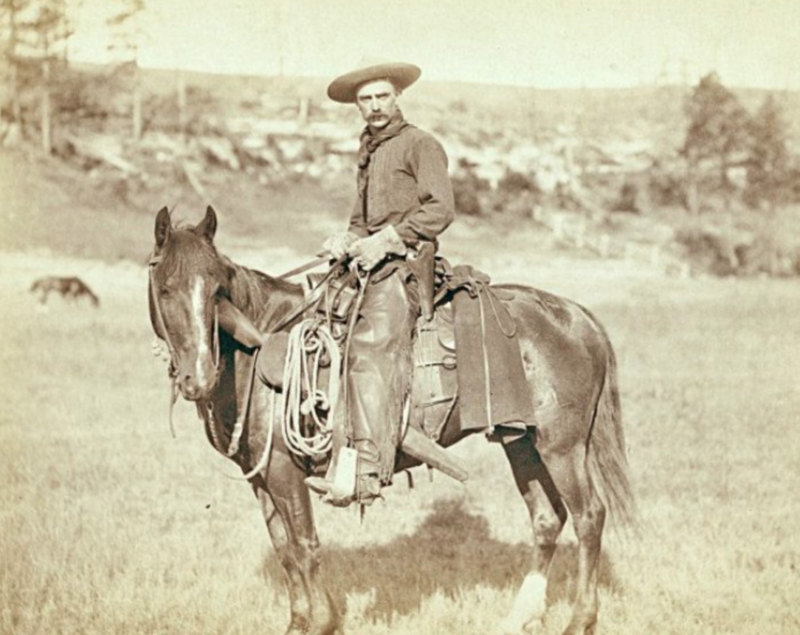 Since photographs were a relatively new invention and very exclusive, many cowboys were filled with pride when they got their photograph taken. They always wanted to show off their guns in the pictures. Back in the 19th century, people moved around quite frequently. Here is a couple taking a break in Kansas as they head west to start a new life. They had everything they owned in one wagon, in search for better. 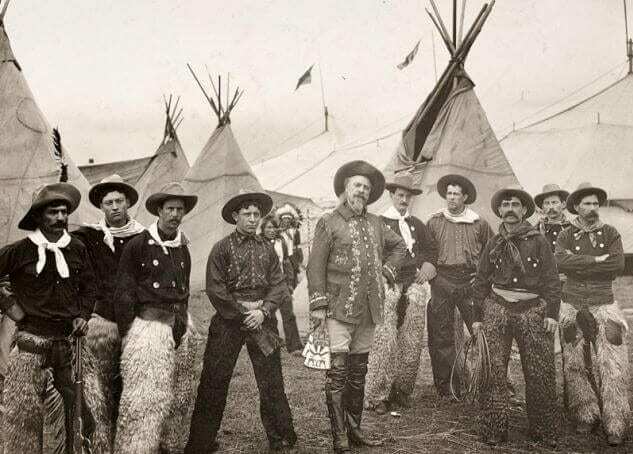 Buffalo Bill’s biggest attraction was his cowboys and their gun fight re-enactments. The best cowboy sharpshooters made it into the show. They had to pass an audition to prove their skill. They show paid them very well so they never had to worry about financial problems. This 19th century man, pictured in a Kansas City newspaper, is wearing the traditional get up of the wild west. The hat he’s wearing is a Mexican sombrero and was necessary for survival in the brutal wild western climate. Kit Carson was an American frontiersman who helped develop California. He was in fact illiterate and spent a lot of time with Natives, eventually marrying 2 native women. His third wife was Mexican. Kit had a total of 10 children. In the late 1800s, photographer John Grabill sent almost 200 pictures to Congress for copyright. His photos chronicled the development of South Dakota, Wyoming, and Colorado, as well as its effects on the local Natives. We are grateful for photographers like him, that we are able to learn about this era from these fascinating pictures. 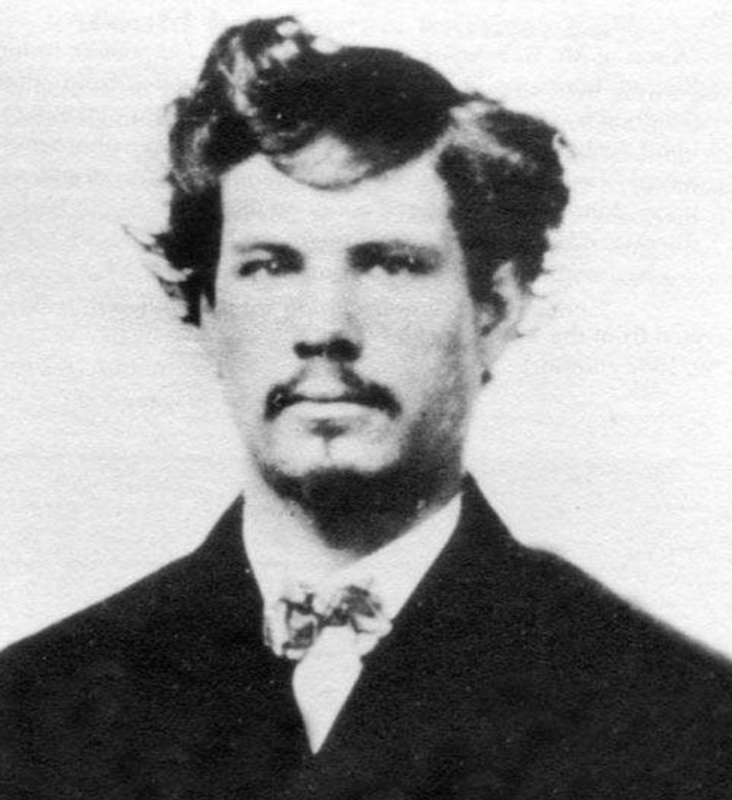 Born in 1840, Bloody Bill became the leader of the gang, Quantrill’s Raiders. During the Civil War he had a lot of built up rage and slaughtered Union soldiers whenever he was able. On one occasion, he killed 20 soldiers with his gang and then massacred another 100. That is a lot of anger! 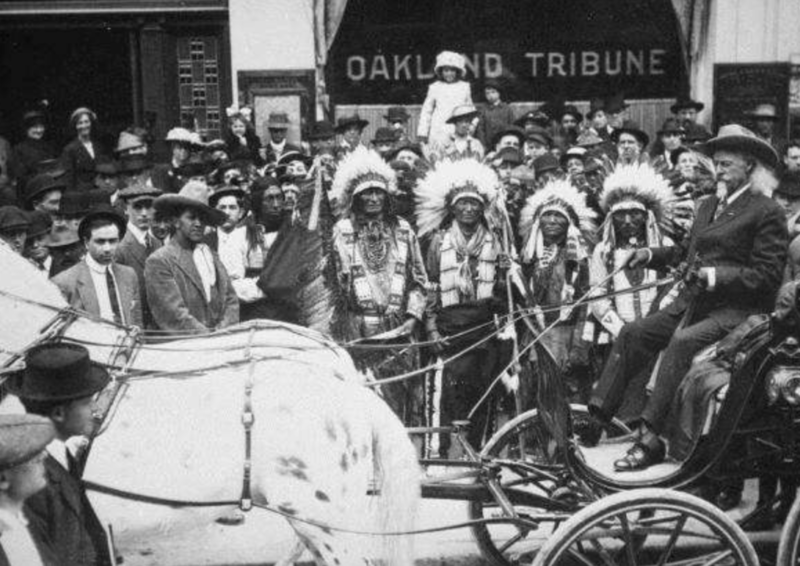 Charging Thunder was one of the many Native Americans who became a part of Buffalo Bill’s Wild West Show. This Lakota chief joined the group at 26 years old. Eventually, he married one of the American horse trainers in the crew. Pearl Hart gained notoriety just before the turn of the 20th century as a female stagecoach robber. She cut her hair short, dressed in men’s clothing, and was eventually sentenced to five years in prison, but pardoned after three years. Traveling across the wild west was a very dangerous mission. Many rich travelers had to hire armed men to protect them on unknown routes. You just never knew who or what was waiting for you round the corner. One of the most famous female outlaws in the wild west was Belle Starr. Her real name was Myra Maybelle Shirley Reed Starr and her family called her May. She rode sidesaddle with two pistols and was killed in 1889. Her murder is unsolved to this day. General Custer was most famous for losing at the Battle of Little Big Horn. He had risen in the Army ranks during the Civil War and the Indian Wars. He was known as a man without mercy. 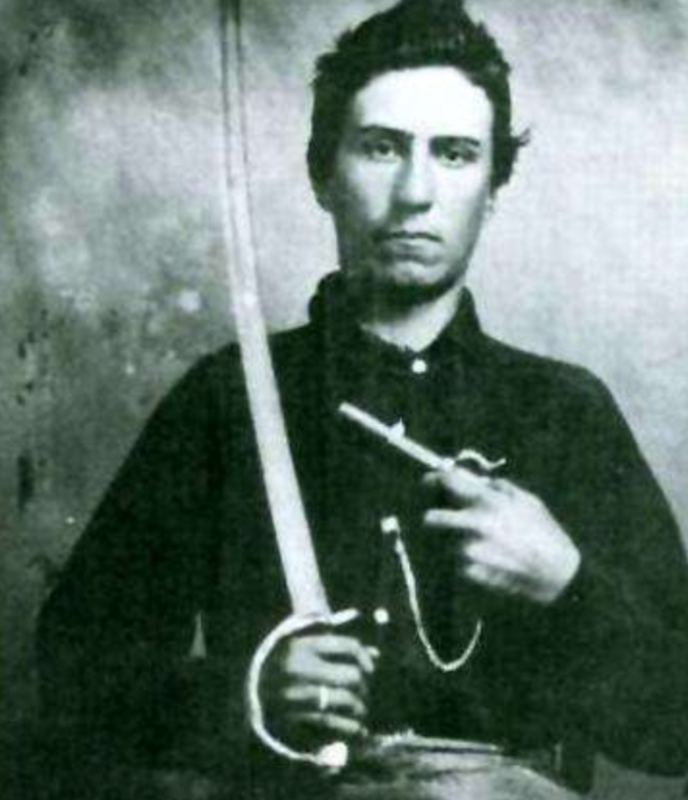 One of the most successful cavalry regiments on the Confederate side of the Civil War was Terry’s Texas Rangers. The regiment was formed in 1861 and was involved in at least 275 engagements until it was finally dissolved in 1865. This picture depicts a true cowboy, Charlie Nebo, along with Nicholas Janis. Charlie never tried to inflate his achievements and was happy to live like a true frontier man. 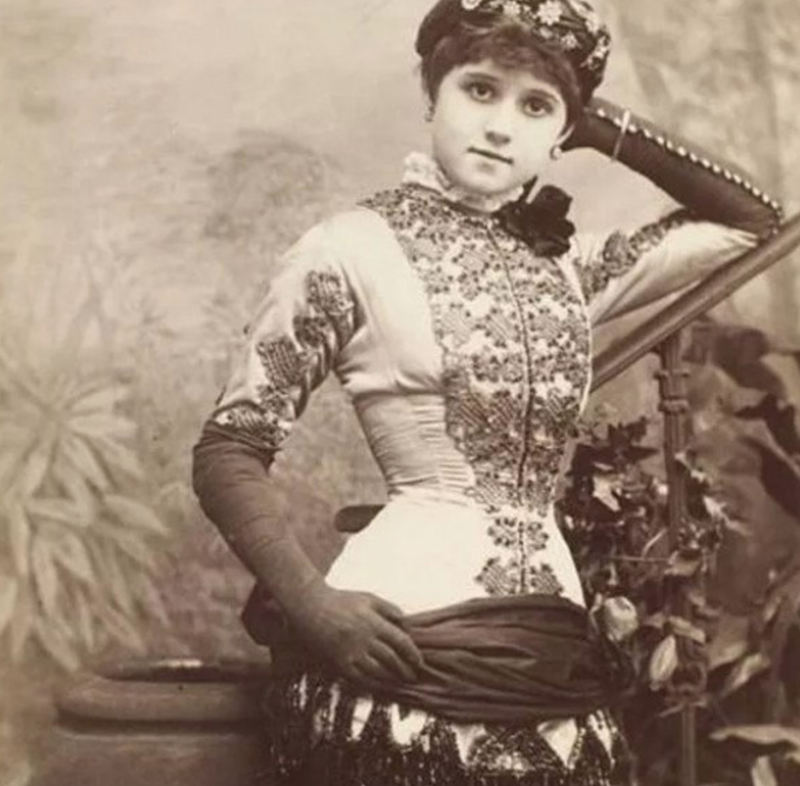 Rose Dunn, also known as Rose of Cimarron, fell in love with a wild west bandit named George “Bittercreek” Newcomb after being introduced to him by her brothers. 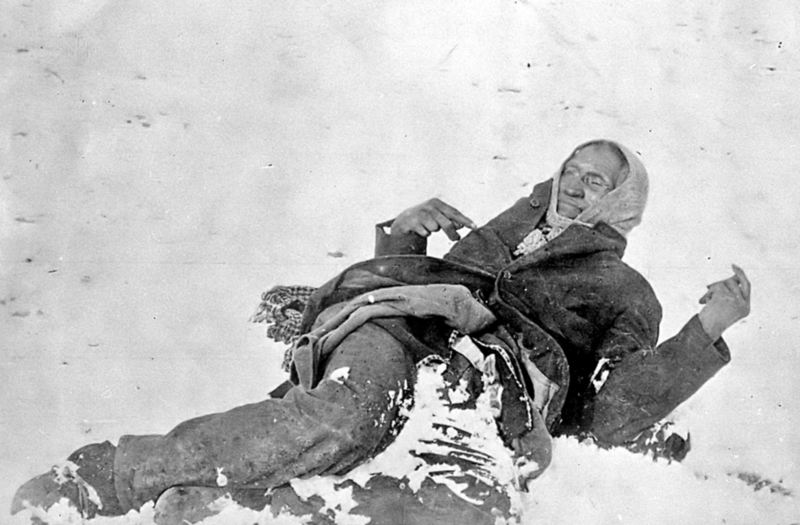 In 1895, George was killed by the brothers after they became bounty hunters. Before Mexicans, these Chinese railway workers were the hated immigrants. They made $1 a day when white workers made about $2.50. They also had to personally move their own camps and get their own food, while this was all provided for the white workers. Spotted Elk, or also known as Little Big Foot, was the Lakota Sioux chief, but was killed in the Wounded Knee Massacre of 1890. That battle saw 152 other Native Americans killed and slaughtered by Union soldiers, including several of their women and children. He gained his famous reputation during a gunfight at the O.K. Corral, which resulted in three dead cowboys. After that incident, he was then known as a respected shooter. He continuously had run ins with cowboys until his death in 1929. 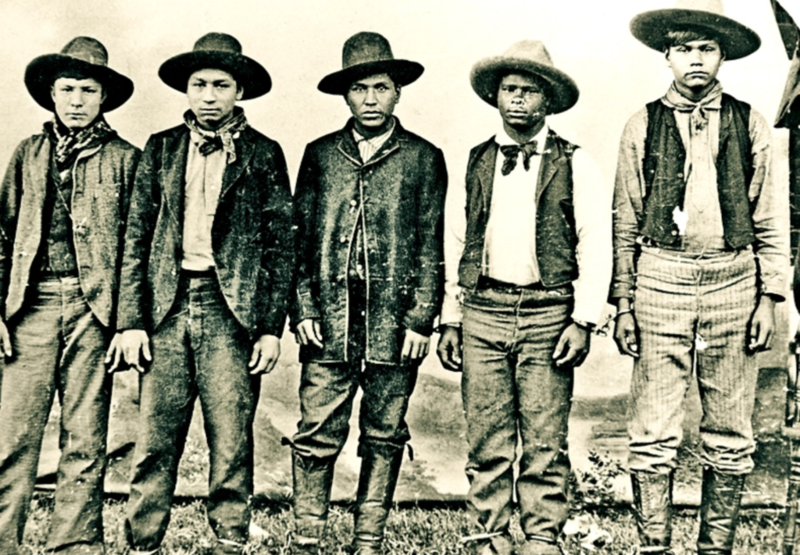 Unlike most criminal groups in the Old West, the Rufus Buck Gang was a mixture of Creek Indian and African American outlaws. Their fate eventually caught up with them, and they were hung for robbing stores in Oklahoma and Arkansas. 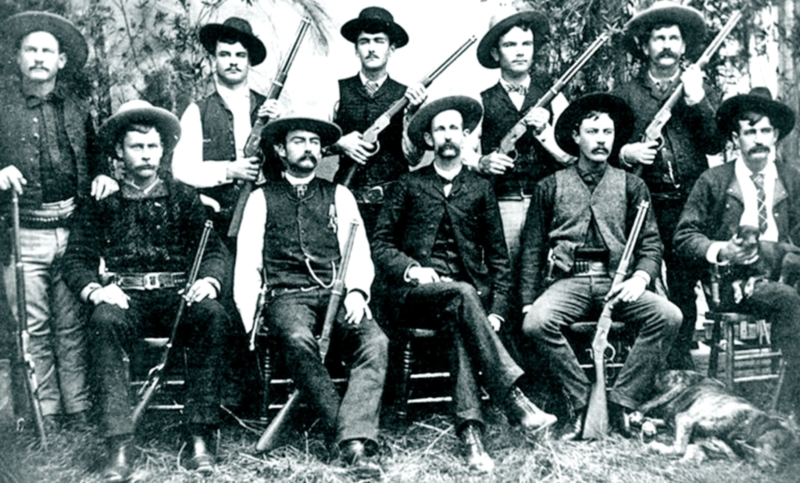 The Texas Rangers were a dangerous gang, who became a group in 1823 in order to defend Texas after the Mexican War of Independence. They became the West’s most notorious lawmen, killing a large number of infamous outlaws, including the legendary bank robber Sam Bass. Buffalo Bill, whose real name was William Cody, started a very popular “Wild West” show in 1883 that lasted for several decades. The show toured around the U.S. and had many acts, including gun fight re-enactments. 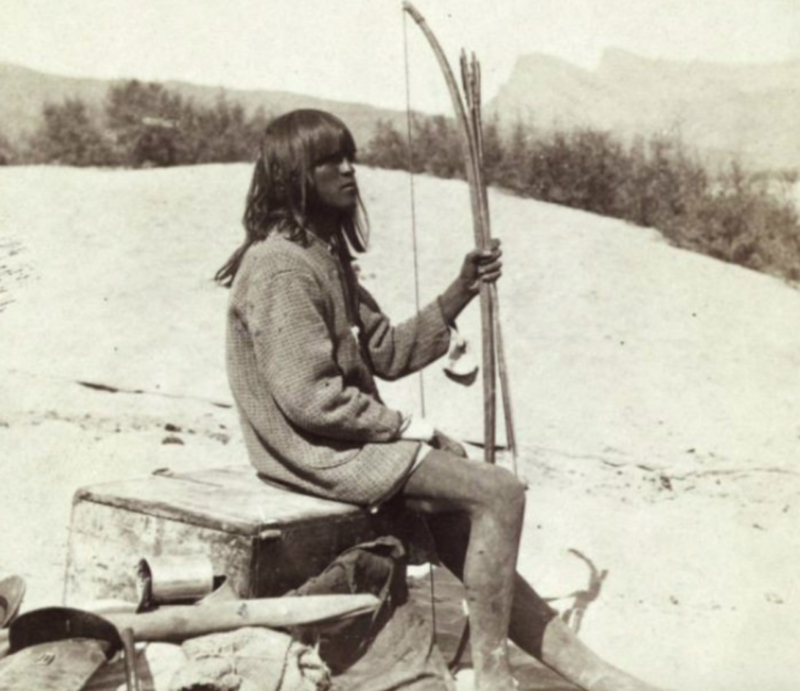 This Mojave Native American was called Maiman, and he worked as a guide and interpreter in 19th century Colorado, during the 1870s. Maiman would act as a guide to photographer Timothy O’Sullivan around and help him find the best locations for his photographs. 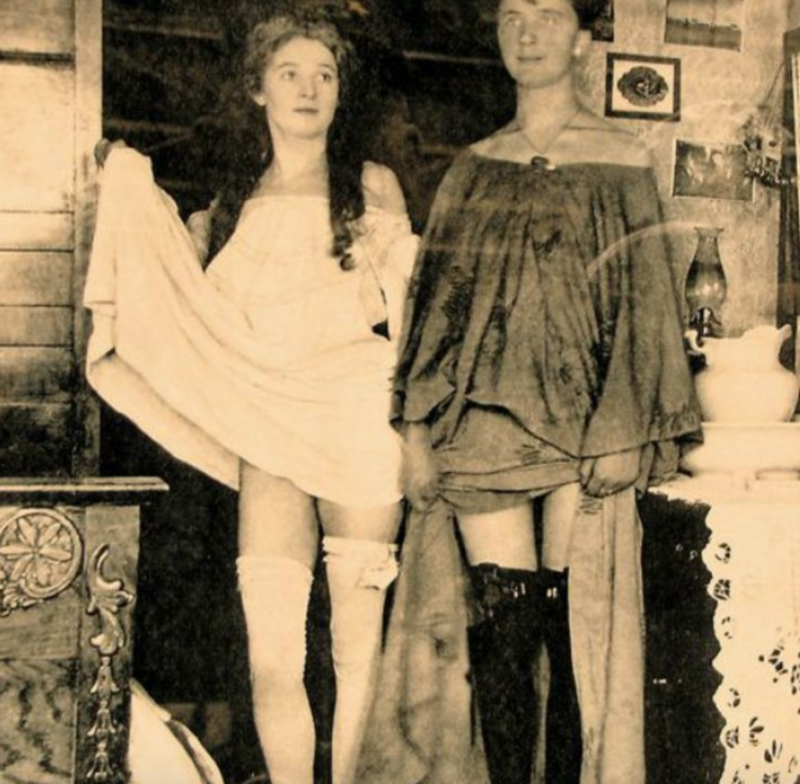 Plenty of notorious madams and prostitutes were part of the fixtures of old Western towns, some were even so popular that they successfully became millionaires. These women flocked from all in hopes of becoming rich, despite the harsh conditions they had to endure, not just the weather but from men too. 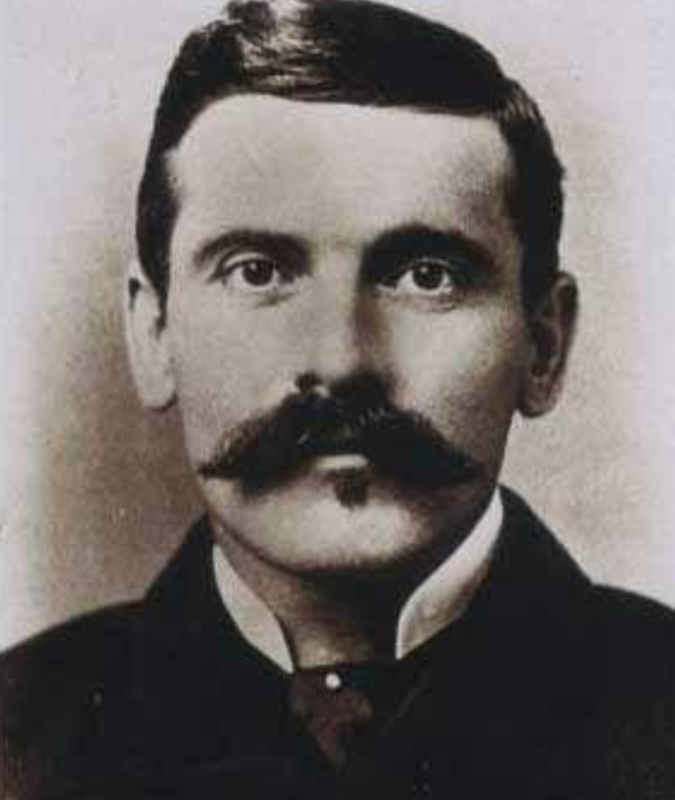 Doc Holliday was a dangerous gunfighter of the Wild West, and still goes down in history as one of the finest shooters. He was a good friend of Wyatt Earp and is well known for being a gambler, a gunfighter, and… a dentist! Man of many talents. 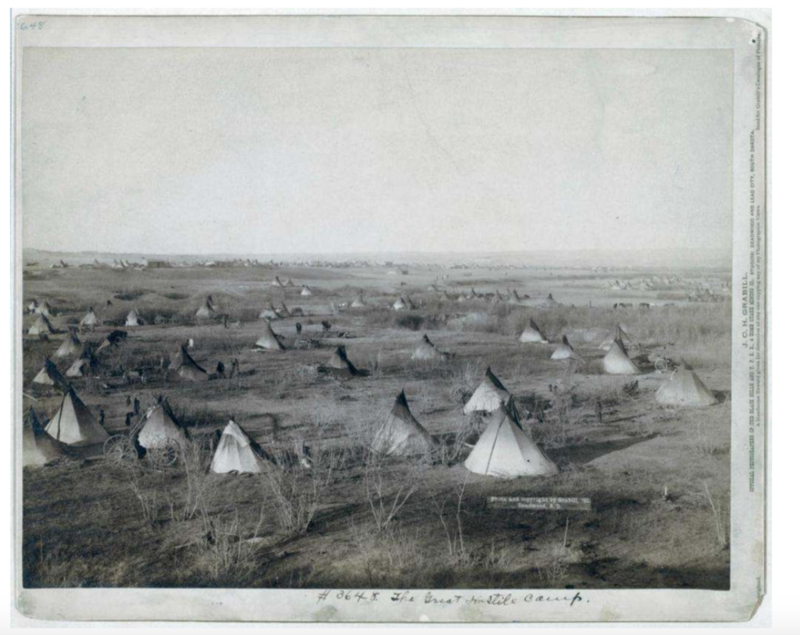 The Sioux Nation is one of the largest and most well known tribes to have lived on the Great Plains. The Sioux Nation is actually made up of 3 different tribes under the same banner: Eastern Dakota, Western Dakota, and the Lakota tribes. All of these were nomadic tribes that hunted bison, and as a part of their lives on the great plains, they built the teepees that you see here. This picture is fascinating to see how they lived. 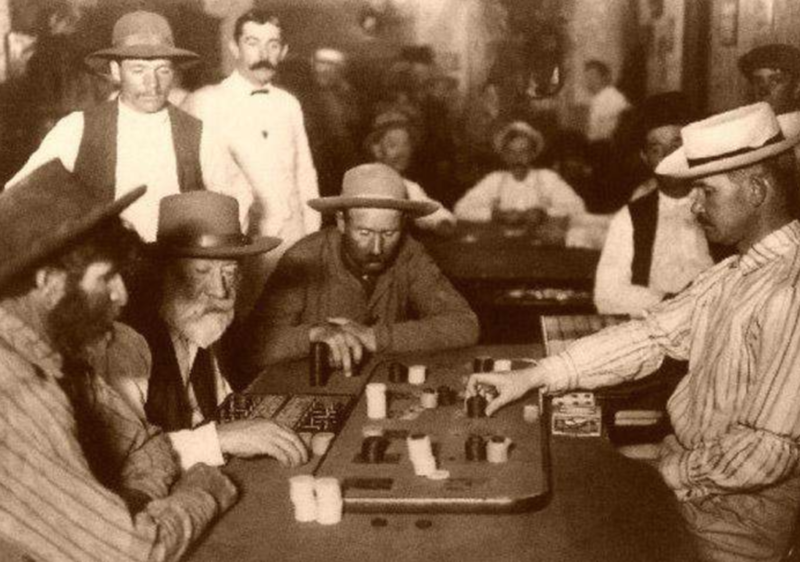 Gambling was a popular past time in the Old Wild West, especially in the 19th century. Some of the first buildings that were built in this period were gambling halls! From wagering, whoring, and whiskey-drinking, gambling halls could often lead to trouble. Santiago ‘Jimmy’ McKinn was a boy by the age of 11 or 12, who lived with his family in the lower Mimbres Valley, New Mexico. 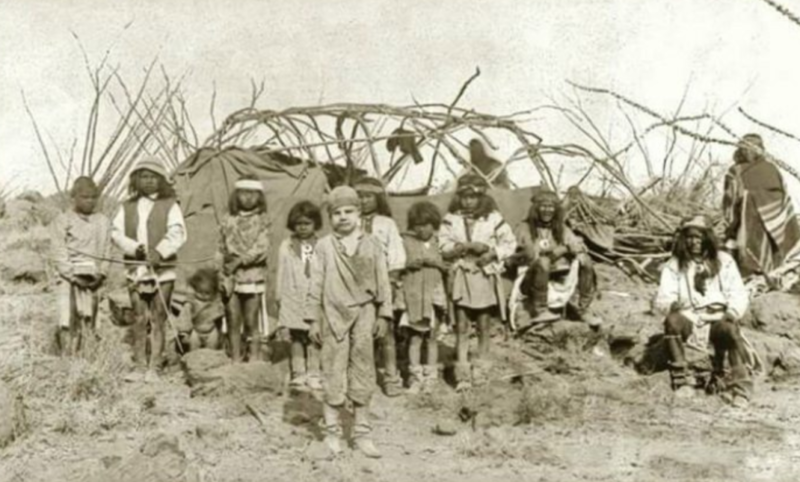 Legend has it, that one day, while he was out playing with his older brother Martin, a group of Chiricahua Apache led by Geronimo approached the two. 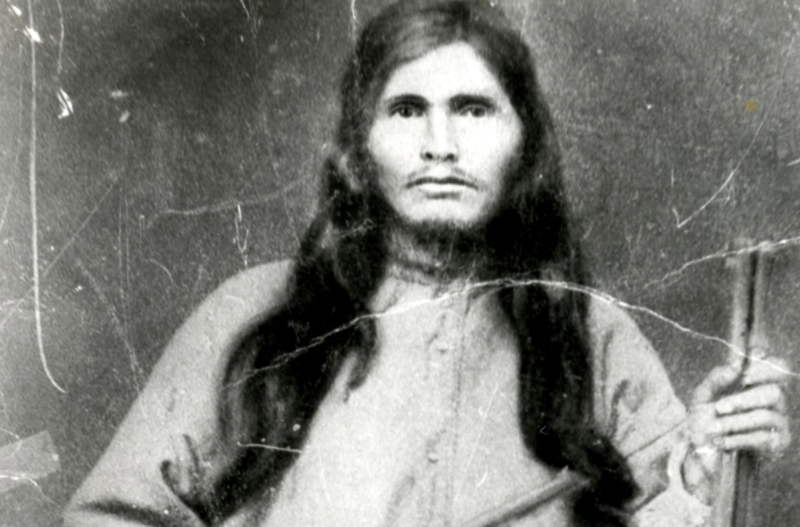 The Apache then killed Martin and abducted young Santiago. Buffalo Bill has a “wild” reputation throughout the Old West, and has been one of the most influential showmen ever! Bill was a scout and a bison hunter, but when he wasn’t out on the hunt, he was working his show. These tickets sold out fast! Being a cowboy meant also enjoying a drink often. 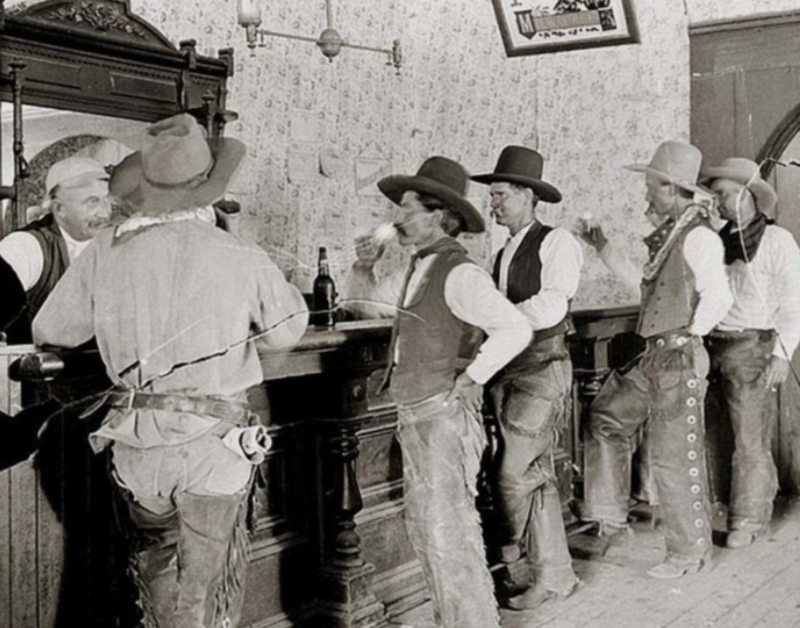 This photo shows a group of cowboys enjoying a drink and a quick chat with the bartender at a saloon in Old Tasacosa, Northern Texas in approx 1907. Cowboys in the wild west were definitely more than simple animal herders. The term originated from the Spanish Vaquero, a livestock herder riding on horseback, and required skill and plenty of physical ability, developed from an early age. Whirling Horse was another member of Buffalo Bill’s Wild West Show. Native Americans on the show were known as “show Indians,” and they all came from different Native American tribes. They would reenact historic battles and perform their native dances for audiences. We are unsure if they enjoyed acting in the show.